Below you fill find all funeral homes and cemeteries in or near Ironwood. 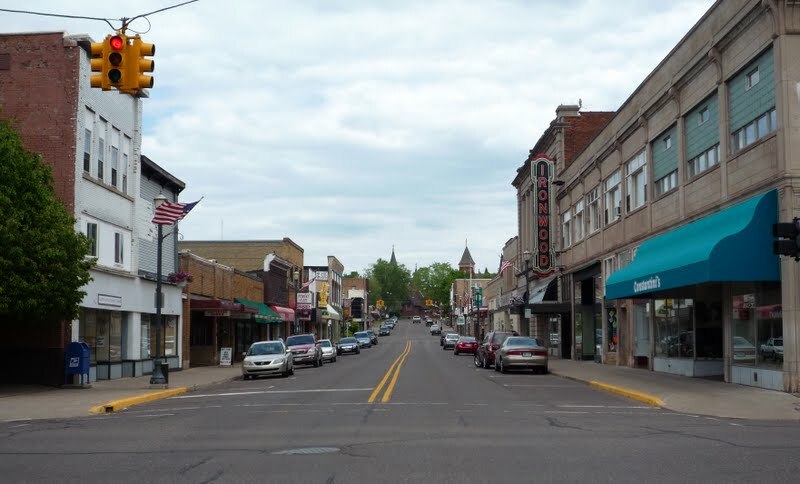 Ironwood is also known as: Gogebic County / Ironwood city. Zip codes in the city: 49938. Gogebic County funeral flowers can be purchased from one of the local funeral shops we partner with. Some of the notable people born here have been: Raymond Luczak (writer), and Renee Ellmers (registered nurse and nurse). Ironwood is a city in Gogebic County in the U.S. state of Michigan, about 18 miles (29 km) south of Lake Superior. The population was 5,387 at the 2010 census. The city is on US 2 and is situated opposite the Montreal River from Hurley, Wisconsin. 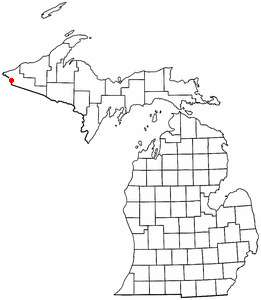 It is the westernmost city in Michigan, situated on the same line of longitude (90.2 degrees West) as Clinton, Iowa and St. Louis, Missouri.While originally an iron mining town, the area is now known for its downhill skiing resorts, including Big Powderhorn, Blackjack, Indianhead, Mount Zion and Whitecap as well as its cross country skiing at the Wolverine Nordic Trail System and the ABR Nordic Center.Ironwood is home of the "World's Tallest Indian" : a 52 ft (15.8 m) fiberglass statue of tribal leader Hiawatha.The city is at the south end of Ironwood Township, but is administratively autonomous. It was noted by The News Tribune on November 17th, 2018 that Charles T O'Donahue passed on in Washington. O'Donahue was 84 years old and was born in Ironwood, MI. Send flowers to express your sympathy and honor Charles T's life. It was written by The News Tribune on November 16th, 2018 that Charles T O'Donahue perished in Tacoma, Washington. O'Donahue was 84 years old and was born in Ironwood, MI. Send flowers to express your sympathy and honor Charles T's life. It was disclosed on September 25th, 2018 that Jean A Marx (Mittelstadt) passed away in Ironwood, Michigan. Ms. Marx was 91 years old and was born in Eau Claire, WI. Send flowers to express your sorrow and honor Jean A's life. It was disclosed on May 27th, 2018 that Diane Lee Beverly passed away in Seminole, Florida. Beverly was 76 years old and was born in Ironwood, MI. Send flowers to express your sorrow and honor Diane Lee's life. It was written by Chicago Tribune on May 8th, 2018 that Eleanore K Mondl (Finco) passed away in Illinois. Ms. Mondl was 95 years old and was born in Ironwood, MI. Send flowers to share your condolences and honor Eleanore K's life. It was revealed by Chicago Tribune on March 25th, 2018 that Jacqueline Marie Fiorillo (Foster) perished in Plainfield, Illinois. Ms. Fiorillo was 68 years old and was born in Ironwood, MI. Send flowers to share your condolences and honor Jacqueline Marie's life. It was reported by Des Moines Register on December 2nd, 2017 that Ann M Harris (Perkovich) died in Iowa. Ms. Harris was 92 years old and was born in Ironwood, MI. Send flowers to share your condolences and honor Ann M's life. It was disclosed on November 2nd, 2017 that Sophie R Broslovik passed on in Omaha, Nebraska. Broslovik was 96 years old and was born in Ironwood, MI. Send flowers to express your sympathy and honor Sophie R's life. It was noted on November 1st, 2017 that William Arnold "Bill" Spetz perished in Woodruff, Wisconsin. Spetz was 84 years old and was born in Ironwood, MI. Send flowers to share your condolences and honor William Arnold "Bill"'s life. It was noted by The Daily Herald on September 17th, 2017 that Peter J Laforge passed on in Illinois. Laforge was 89 years old and was born in Ironwood, MI. Send flowers to express your sympathy and honor Peter J's life. On September 17, 1887, a disastrous fire swept over half of the business portion of the town, although the buildings that were lost were quickly rebuilt. Soon several mines were discovered and opened such as the Norrie mine, Aurora mine, Ashland mine, Newport mine, and Pabst mine. * The Methodist Episcopal Church * The Jessieville Methodist Episcopal Church * St Ambrose Church (Catholic) * St Michael's Church (Catholic) * First Swedish Baptist Church * Swedish Methodist Episcopal Church * Swedish Mission Church (Covenant Church) * Swedish Lutheran Church * First Finnish Lutheran Church * The First Presbytarian Church * St Pauls Episcopal Church * The First Apostolic Lutheran Church. It is the westernmost city in Michigan, situated on the same line of longitude (90.2 degrees West) as St. Iron ore was found in the area in the 1870s but it wasn't until the mid 1880s when the arrival of the railroad to the area opened it for more extensive exploration of the vast iron ore deposits. The official website for the city of Ironwood is http://cityofironwood.org/. Saima was born in Ironwood on February 26 ... Mountain View Mortuary, 14 Seventh St., South Range, MI 49963. For further information, contact the funeral home at 906-482-8474. Online condolences may be expressed to the family at antilafuneral.com. Norrie Street, Ironwood, Michigan, died at Rennes Health Center East in Peshtigo ... Following cremation, inurnment will be in the City of Negaunee cemetery. Cadieu-Thielen Funeral Home is assisting the family. Listing all funeral homes in Ironwood, Michigan so you can easily send flowers to any location (same day delivery) or find any funeral service. Find embalmers & Embalmers in Ironwood, MI. Read business reviews, find driving directions, and more. embalmers on YP.COM. The finest roses, gifts and Mother's Day flowers delivered fresh. Serving Ironwood, Michigan, surrounding suburbs and the entire country. We work with local florists and flower shops to offer same day delivery. You will find budget sympathy flowers in Ironwood here. Our funeral flowers are cheap in price but not in value.